Flatbed Owner Operator – OTR, Regional, Local Jobs In The Liberty, MO Area! 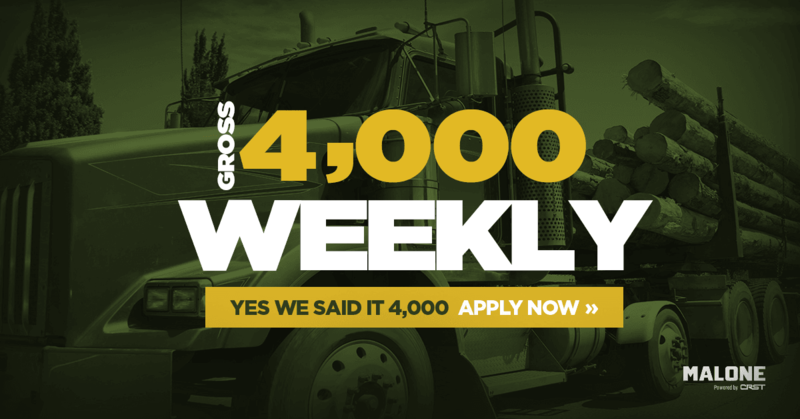 $4,000 Gross Weekly Average Earnings! Malone – Powered by Your Independence! There's a reason you set out to be your own boss. Owner Operators make 75% of gross revenue whether or not you lease one of our trailers. No limits on your earning potential. It’s rare to see the level of commitment our owner operators have for our company. Our experienced contractor mentors truly care for their brothers and sisters on the road. Armed with Malone Mentor caps and a decal on their truck they provide valuable - and free - advice on load securement, pay issues, lane suggestions and profitability. All to help the next generation of flatbed owners find their own road to success. Malone – A True Flatbed Contractor Company! Veterans, you've served us, now let us help you get started on a new career. Use your valuable military training to drive with Malone as an owner operator and get to being your own boss faster. Get company-sponsored training with our Expedited team and when you're ready to get going, we’ll help you find a truck and continue to support you for miles ahead. No further training required!